Do YOU Want a Driverless Car? They’re making headlines every day. Google, Ford, FCA, Tesla, and others have announced massive commitments of time, resources, and billions of dollars to research and development of autonomous or driverless cars. But Is There a Market for Driverless Cars? In multiple surveys conducted by J.D. Power, Texas A&M Transportation Institute, Kelley Blue Book, Robert Bosch LLC, consulting company EY, and the Canadian Automotive Association, up to three out of four people surveyed had no intention of owning a driverless car. The results are compelling and demand a look into why driverless car technology is proceeding at such a rapid pace. Of those surveyed, two overwhelming themes continually popped up. One segment did not put their faith in a vehicle controlled by a “robot”. While driverless cars aren’t actually ‘driven’ by a robot but are operated based on algorithms, computers, sensors, cameras, and other technologically-advanced functions, it seems the average consumer doesn’t place as much trust in autonomous technology as they do in human input. The other segment includes enthusiasts. It’s the group of car-show attendees, the sports car owners, the grease monkeys, and those who simply enjoy getting behind the wheel of their car and driving. There are those who grew up driving and find joy in the act of driving their own vehicle. Industry professionals such as Kay Stepper, a vice president and head of the automated driving unit at Bosch, identify these concerns. “Technologically, we will be ready for automated driving within this decade, but it will take well into the next decade to convince consumers.” Bosch supplies components to the world’s leading manufacturers. 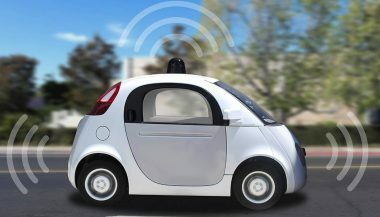 Questions that arise about driverless cars include the ability to override the autonomous controls, the driver’s function, and the diminishing driving skills of the population who no longer provide driving input. Still, driverless car technology steams ahead. Even with a large swath of the population not planning to own an autonomous car, there is a huge market available to manufacturers. Services such as Uber and taxi companies, delivery services, e-tail services, and even the occasional private citizen can make great use of the technology. Labor costs can be minimized and the possibilities are endless for their use. Still, the question begs to be asked: Are YOU going to own a driverless car? Autonomous car levels go from 0 to 5. 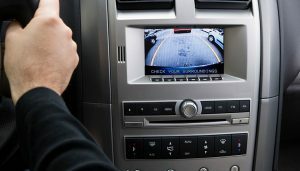 Level 5 means your car can handle congested traffic or a snow storm, and nobody is close to reaching it yet. 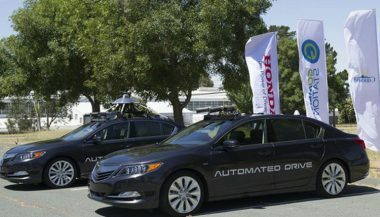 Keller predicts that a truly autonomous system to be offered on every Honda and Acura model by 2020 then Honda becomes a true autonomous vehicle competitor. Are Autonomous Cars Going to Take Over? Autonomous cars are undoubtedly going to make an appearance on the streets worldwide.